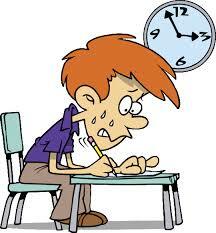 For the academic, there is nothing less effective than studying in “marathons” for long hours without pause. This statement is based, in addition to his personal experience and that of his colleagues, in a study of the University of Michigan that determined the period of optimum concentration of students . After half an hour of reading, the researchers found that the students were beginning to distract themselves and their understanding of the text began to resent. Taking a small break of five minutes every half hour serves to “charge the batteries” after an effective study block. Lobdell recommends doing a rewardingactivity during this break: “talking to your family, calling a friend or listening to music” are some examples. First, you must ask yourself if what you are about to study is a data or a concept. If it’s a concept, the best way to make sure you’ve learned it is to explain it in your own words. Instead of reviewing what you have highlighted in the text, you must test yourself to make sure that you do not have a blank mind on the exam. If you are able to teach someone the concept that was treated in class, it means that you have really learned it. You can also identify the “weak spots” in your understanding more easily. Learning data can be simpler than learning concepts, but it is more likely to leak out of memory quickly. For this reason, the academic recommends to convert them into acronyms, phrasesFind Article, rhymes or associate them with images. This way you will remember them with ease. Penelope has a degree in International Relations from Leeds University. She loves hiking and her favourite author is Khaled Hosseni. Besides her job, she works part-time as a research advisor for leading dissertation writing service where she provides her expert advice to students that are looking for dissertation help.